Zipcar's moto, "Wheels when you want them," resonated with Baltimore residents, leading to an 11 percent increase in public transport use. Photo by Ian Collins. To celebrate Zipcar's one-year anniversary of operations in Baltimore, Md., Zipcar released survey data from the company's Baltimore-area members with positive and encouraging feedback for the sustainable transport community. According to the data, since its debut in June 2010, Baltimore's Zipcar service encouraged users to own fewer cars and rely more heavily on public transportation. According to the survey, 18 percent of participants responded as having sold their cars since Zipcar's arrival in Baltimore, and 46 percent stated that they avoided buying a car altogether. In addition to the decrease in car ownership, vehicle miles traveled (VMT) have decreased, too. According to Zipcar, members taking five or more trips in a month decreased by 26 percent and the number of participants driving fewer than 500 miles per month increased by more than 17 percent. Further encouraging is the shift towards sustainable transport. Survey participants responded as having increased cycling by 14 percent, walking by 21 percent and public transport use by 11 percent. In fact, more than one third of respondents said that they use public transit to get to Zipcar vehicles. "Baltimore area Zipsters are driving less, reducing vehicle ownership and increasing uses of other modes, leading City of Baltimore Mayor Stephanie Rawlings-Blake to believe that the expansion of Zipcar in Baltimore has resulted in fewer car owners overall and sees the partnership as a successful tool for managing parking demand." "These aren't just good stats for the recently public company to show that people love their service. It shows that car sharing–by Zipcar or others–can have a strong effect on a city's car ownership rates and public-transit use. That means less traffic, easier parking, and a generally more pleasant living experience for all citizens. As the benefits of taking cars off the roads start to become more clear, expect more and more municipalities to start working with car-sharing programs, or even launching their own." Does your city provide Zipcar or other carsharing services? Share your thoughts with us in the comments section below. 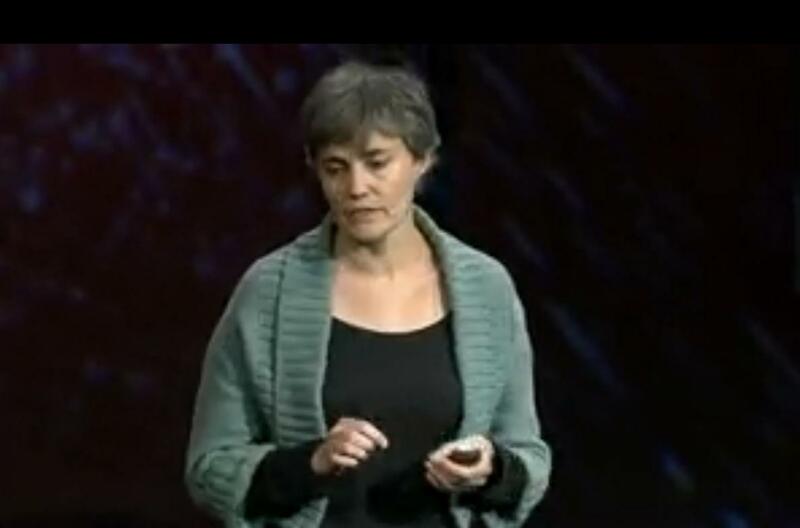 Click on the image to watch a passionate and informative TED Talk by Robin Chase, the founder of Zipcar.